Bollywood superstar Salman Khan is known as ‘universal bhaijaan’. The 53-year-old actor is adored by masses because of his daredevilry. Now, Salman Khan has begun shooting for his successful franchise ‘Dabangg 3’ in Madhya Pradesh’s Indore today. Salman Khan shared the first image from the sets of the film, in which his back faces the camera with sunglasses positioned in Chulbul Panday’s style. Director Prabhu Deva appears to be explaining the scene to Salman. “Day1… Dabangg 3,” Salman Khan captioned the post. 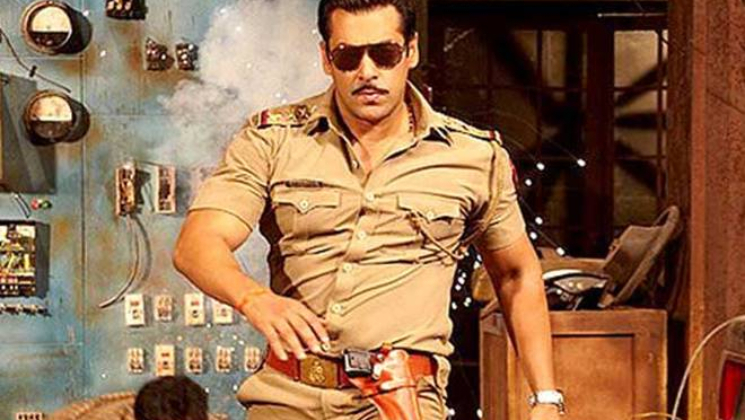 ‘Dabangg’ is one of the most successful franchise films in recent times. ‘Dabangg 3’ is highly anticipated by audiences and it will once again see Sonakshi Sinha as the female lead. After ‘Dabangg 3’, Salman Khan will start filming Sanjay Leela Bhansali-directed ‘Inshallah’ with Alia Bhatt. Meanwhile, Salman is gearing up for his traditional Eid release i.e. ‘Bharat’. The flick also stars Katrina Kaif, Disha Patani and Jackie Shroff in lead roles. ‘Bharat’ is being helmed by Ali Abbas Zafar.